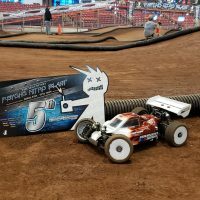 During the first round of qualifying I had mixed results not putting down good runs in 40+ E-buggy and 40+ Nitro Buggy. 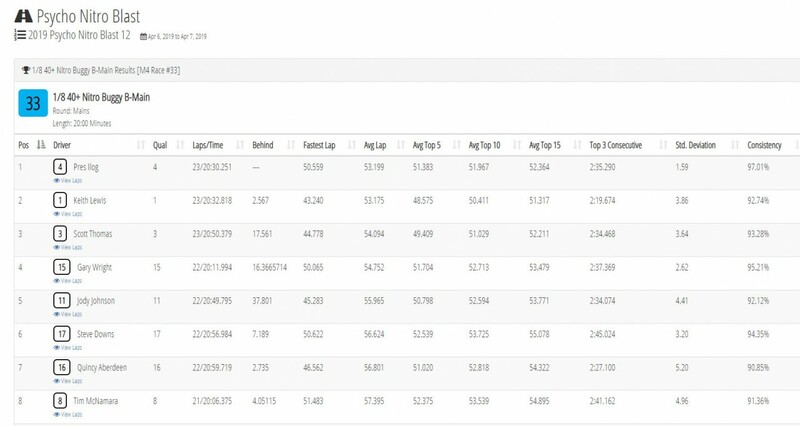 However, I had a decent first run in Open E-buggy finishing 7th in my heat, placing me 30th overall for the round. 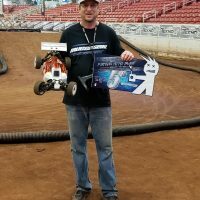 In the second round of 40+ E-buggy I had a really good run winning my B-sort heat and placing 5th overall in qual points for the round. 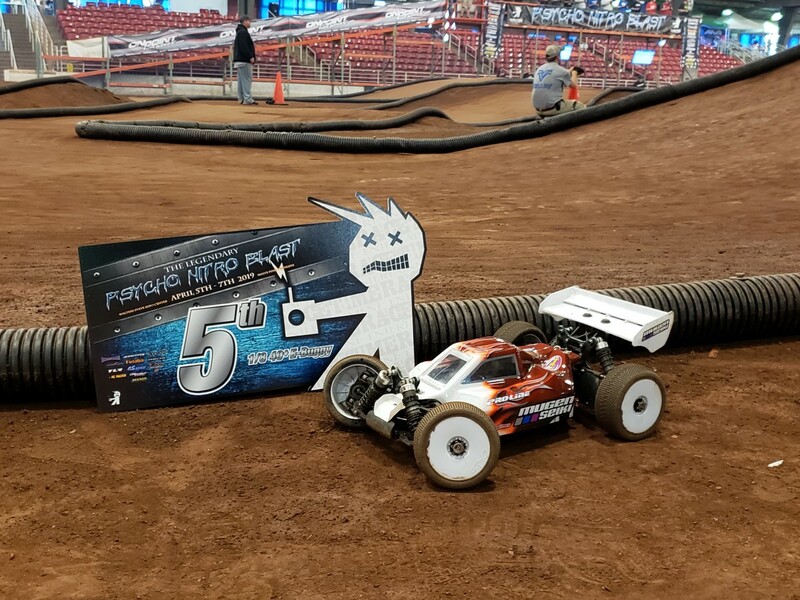 In 40+ Nitro Buggy I had a decent run placing 2nd in my heat and overall 26th for the round. In Open E-buggy I also had another good run finishing 4th in my heat and placing 9th overall. At this point I was sitting where in a good spot to get in the A-Main in both E-buggy classes and the B-main in 40+ Nitro Buggy. 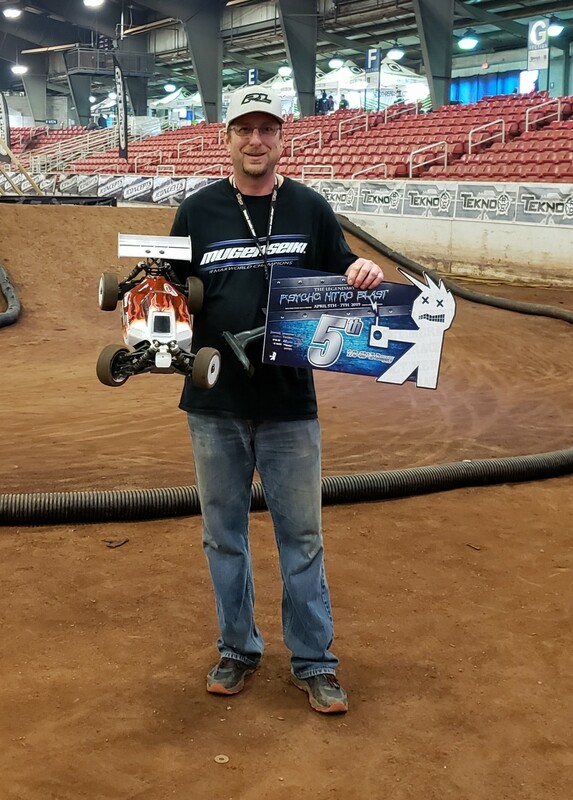 For Round 3 of qualifying I had another good, not great run, in 40+ E-buggy placing 2nd in my heat only .2 seconds behind Brian Lewis, close race! This placed me 14th overall for the round. With a 9th place round 1 finish and this 14th place round, I ended up qualifying 11th overall in the A-main! In Open E-buggy 3rd Round I had a really good run (my fastest of qualifying) but so did everyone else. I finished 5th in my heat but only 17th overall. 2.5 seconds would have placed me 12th for the round and placed me in the A-main. I ended up qualifying 2nd in the B-main. In 40+ Nitro Buggy 3rd Round I had a so so run finishing 2nd in my heat and 19th overall for the round. I ended up qualifying 11th in the B-main. 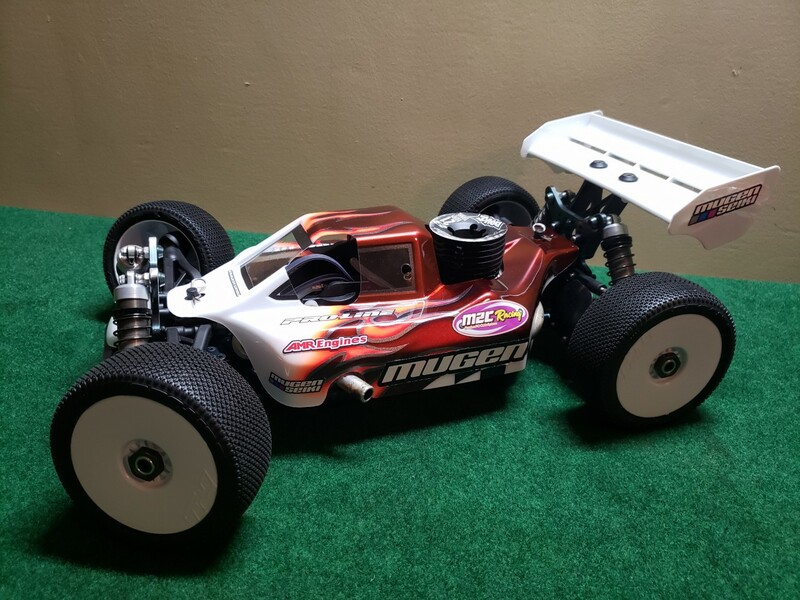 40+ Nitro Buggy – B-main: I had a rough start getting caught up with other traffic and fell back to 14th Place. 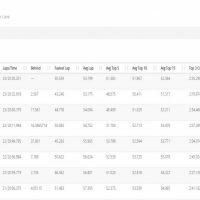 I stuck to my guns and tried to run as smooth and consistent as possible and ended up finishing a respectable 5th place. Open E-buggy – B-main: Was truly expecting to finish at least 3rd to bump up to the A-main. Another rough start and I fell back to 11th place. Once again was able to finish strong and move up to finish 6th. 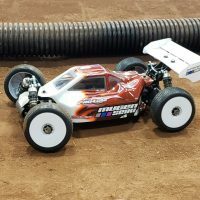 40+ E-buggy – A-main: This time the start of the race went my way. Starting 11th several cars got together in the first few turns and I was able to weave my way through the traffic and finished the first lap in 3rd place! After that I swapped around with 2 other drivers moving from 3rd to 5th and back to 3rd. 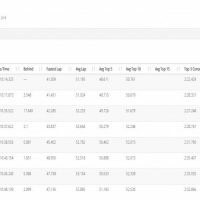 On the second to last lap I made a mistake on a jump section I had not missed all day. 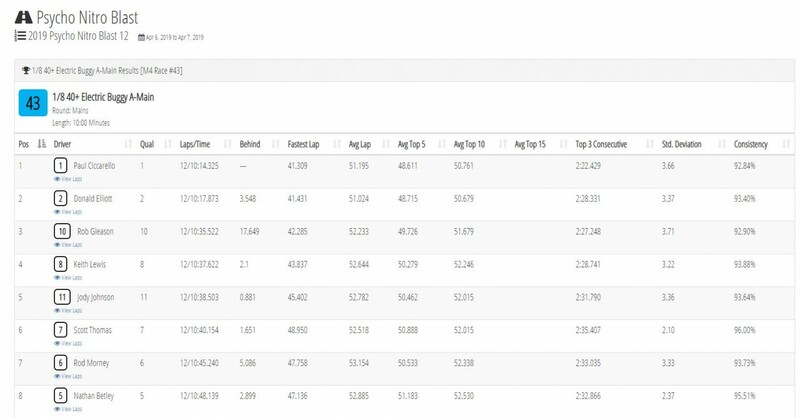 This mistake put me back to 5th which is where I would finish only .9 seconds behind 4th and 3.0 seconds behind 3rd. 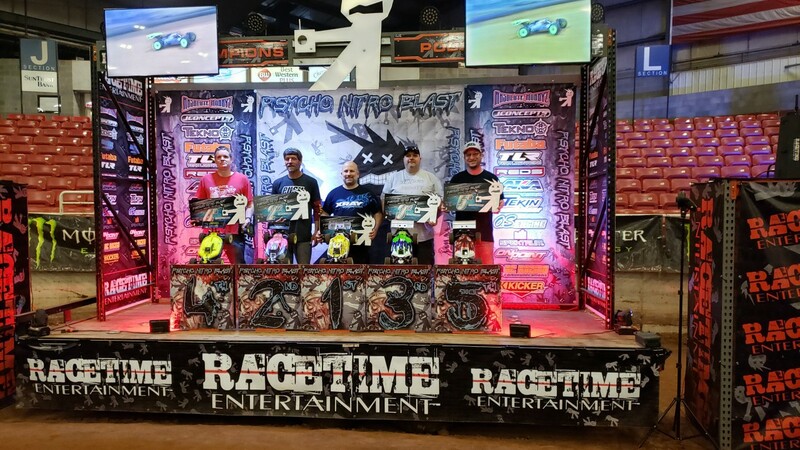 However, I was very excited to make the podium at the Psycho Nitro Blast. 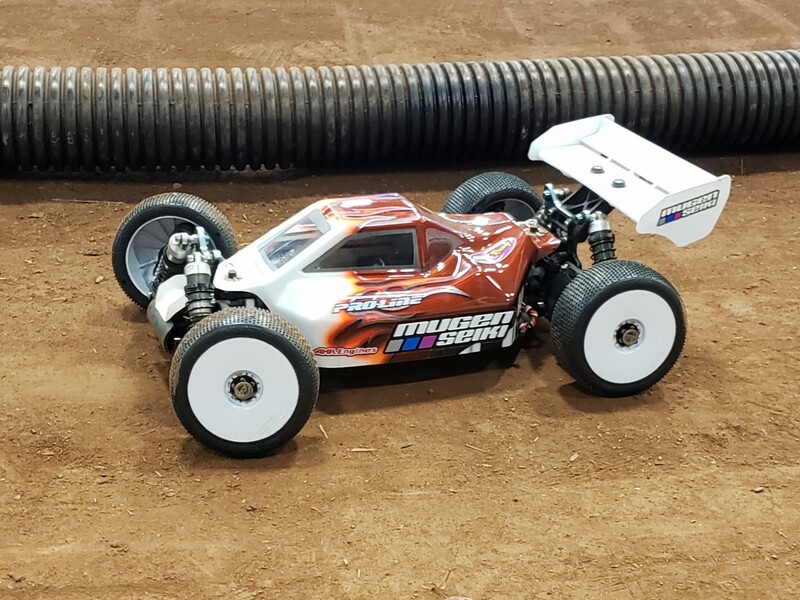 For Pro-Line tires I ended up running M4 Hole Shots early on when the tracked was consistently being watered during practice and early qualifying. When they stopped watering and the track started to groove up some. After Brian Lewis and I talked about tires choices, we both ended up running M3 Fugitive Lites. These tires were awesome in the dryer conditions and wore very well. In the mains on Sunday due to rain outside the track was not as dry and I ended up going back with M4 Hole Shots. For me this was a great choice and my car had plenty of traction, good tire wear, and very consistent. 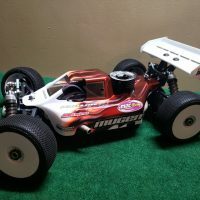 I was also running newly painted Pro-Line Predator bodies for both buggies.